The Online Citizen met Young Democrat Jarrod Luo for a chat. 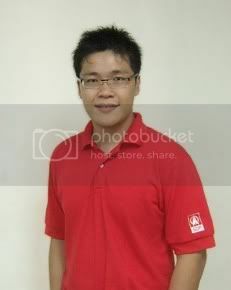 He is the Honorary Secretary of the Young Democrats, the youth wing of the Singapore Democratic Party (SDP). Jarrod is a young man blessed with intelligence and confidence. He graduated from the University of Queensland with a degree in Biomedical Science and Microbiology and is currently an entrepreneur. The Young Democrats was formed in 2000 and it is a member of the Young Liberals and Democrats in Asia (YLDA). It is the 2nd oldest political party youth wing in Singapore, after Young PAP. His association with SDP begun when SDP contested in his ward Sembawang GRC in 2006. Like many others in his ward, he was an excited young man who was privileged to exercise his voting right for the first time. This privilege was a source of empowerment for him, considering that many Singaporeans are unable to exercise their voting right due to the extent of GRC walkovers in Singapore. When he was furthering his studies in Australia, he observed how active Australians were in their political participation on issues that affected their lives. “It set me thinking why their country can strive and flourish in an overall orderly manner despite the substantial difference in level of freedom between Singapore and Australia,” he said. This is a huge contradiction to PAP’s claim that unfettered freedom leads to anarchy and chaos. Jarrod’s initial contact subsequently led to increased involvement with the Singapore Democratic Party. “SDP must be doing something if PAP is so aggressive towards SDP,” he said. Jarrod aims to help youths regain ownership of their country through participation of activities organised by the Young Democrats. Activities include community service, outreach to the marginalised segments of society and advocacy on issues of public interest. The YD is also involved in organising the monthly Pow Wow meetings that take place on the 3rd Friday of every month. It is an informal gathering of friends and associates to share issues and concerns. There is no specific agenda as SDP respects diversity. “The diversity of views at the SDP is underpinned by a democratic framework of engagement,” he said. This framework allows the SDP to scrutinise an issue from multiple angles. On the national level, the democratic framework consists of the following: (a) free media; (b) free and fair election; (c) active civil society; (d) social justice and equality. These components form a consistent theme in SDP’s political struggle over the years. This can be observed in SDP’s activities such as human rights advocacy, the Tak Boleh Tahan Campaign and the Campaign Against Repression and Exploitation of Singaporeans (CARES) 2008. Jarrod looks forward to future collaboration with youth wings of other opposition political parties. “Youth wings do not have any historical and emotional baggage which their main parties suffer from,” he said. As such, youth wings are potential platforms for opposition parties to engage each other from a clean slate. Potential collaboration includes joint participation with civil society and co-organising national youth conferences on issues that impact Singapore. “Opposition in Singapore is so fragmented. They are caught up in petty feuds and spare no efforts to continue these feuds. In the end, it is the people who will suffer because PAP will seize the opportunity to divide and conquer the Opposition,” lamented a very concerned Jarrod. If party elders impart their political experience to the youth wing members without passing on the feud, then the future political leaders rising from the youth wings would be able to lead their party without bias. In this way, the people of Singapore would be better served by the Opposition. On youth apathy, he said, “Apathy is a testimony to the State’s fear against change. The so-called apathy is an unnatural state artificially engineered.” According to Jarrod, there is an attempt to indoctrinate the population by imposing a collective mindset on the citizenry while isolating concerned youth. No wonder concerned youths feel lonely and helpless in their endeavour in looking out for the concern of society. “Youths have always been at the forefront of political change,” reminded Jarrod while citing examples of May Fourth Movement and the 1998 student occupation of the Indonesian Parliament that led to the resignation of President Suharto. Jarrod further elaborated, “Fortunately, youths have access to New Media today, so they are very least aware of the current situation on political and socio-economic issues in Singapore. However, the Singapore society imposes specific demands on youths that rob them of time for political participation.” As students, youths embark on a paper chase in the name of meritocracy. They spent hours cramping notes into their heads, only to be forgotten upon the completion of examinations. When they finally graduate from school for good, they are thrusted in rat race to pay for loans, credit cards and other material pursuit. Social security is probably the most important issue for Jarrod. When asked what would be his first policy if he were to be Prime Minister, Jarrod said, “Set up a retrenchment fund.” The retrenchment fund should be financed by the reduction in annual remuneration of ministers and senior civil servants. The fund will provide temporary benefits to Singaporeans. Unlike the existing ComCare Fund, criteria for qualification would be made public.